Sire of Street Sweeper's CH. Koo Dee Gras, Bulldog Ranch's CH. 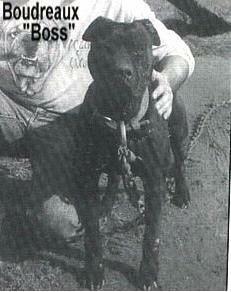 Tuffy,CH Guy,2XW Pierre,1XW Bazooka & ADBA Conformation dog Boudreaux' GR.CH. Black Biter.